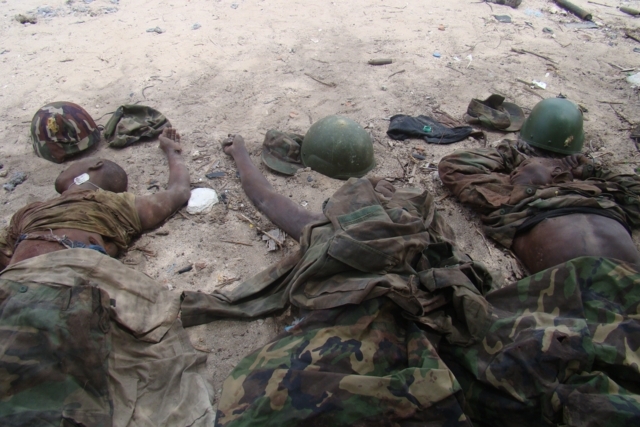 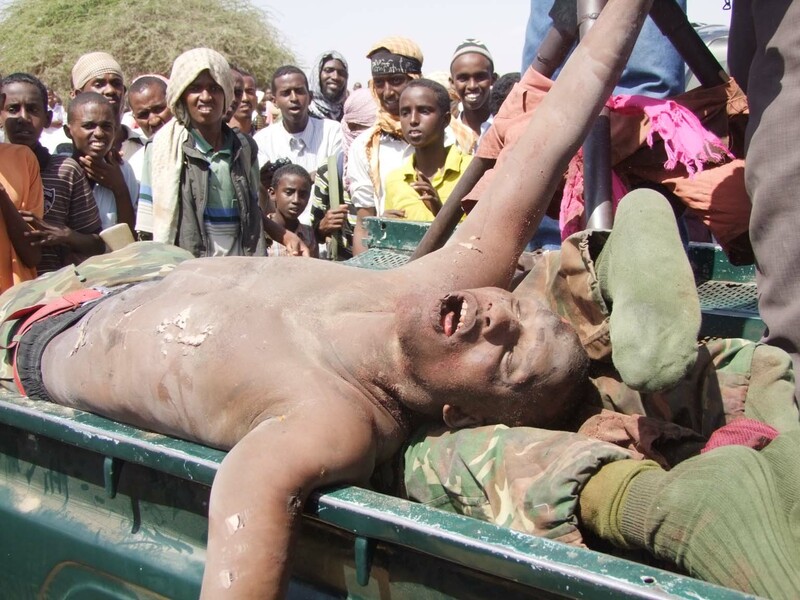 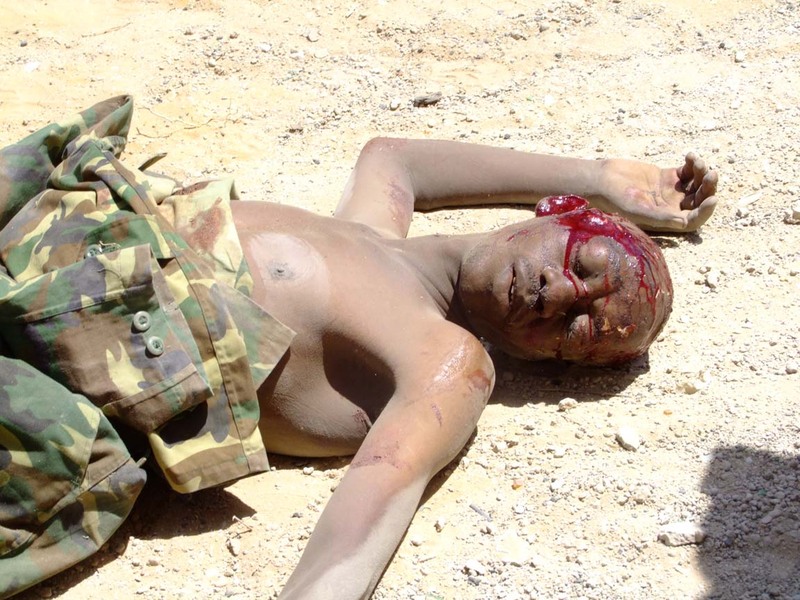 In the old Maslax military barracks, Al-Shabaab displayed the corpses of two Ugandan soldiers killed in Mogadishu’s street battles. 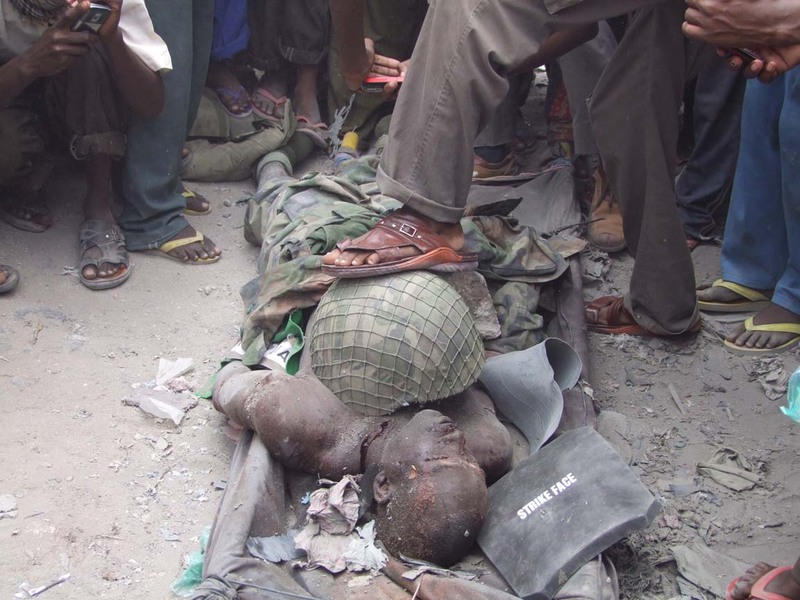 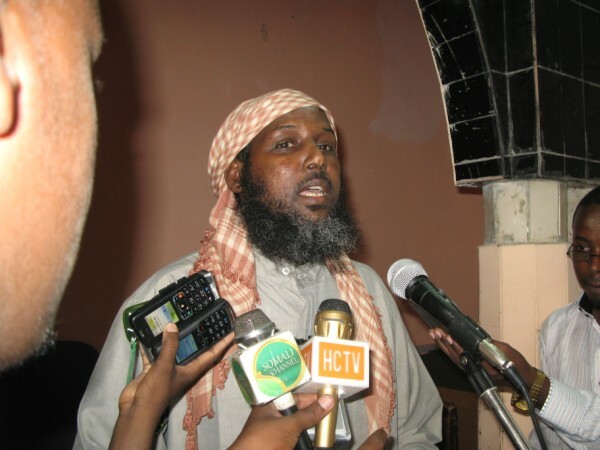 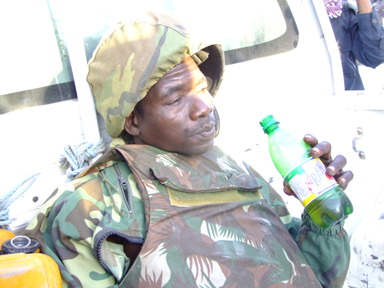 The soldiers, along with their equipment, identity cards, photos, personal belongings and bibles, are believed to have been captured by Al-Shabab fighters yesterday after an intense 14-hour battle that broke out between the opposing forces in the city’s famous Makka Al-Mukarrama street. 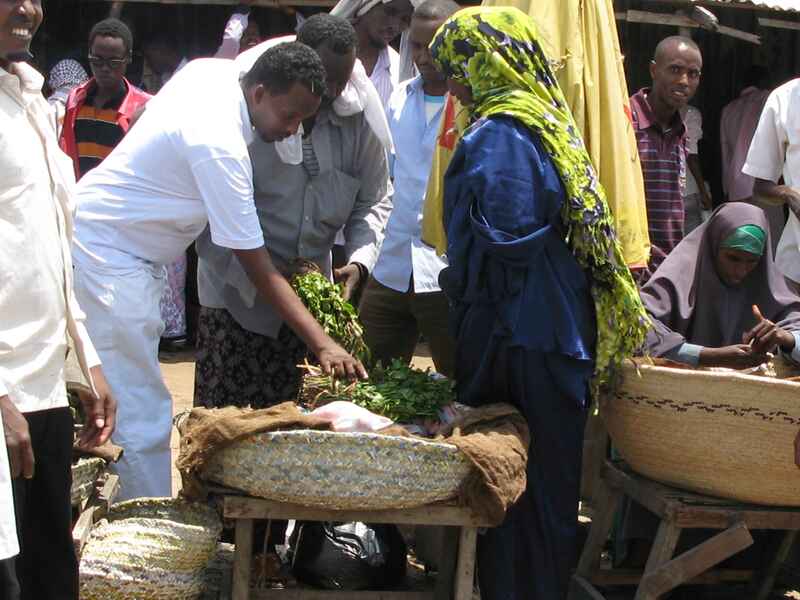 Makka Al Mukkarama is perhaps the most important road in Mogadishu, serving as a vital artery that connects the Presidential Palace to Mogadishu airport. 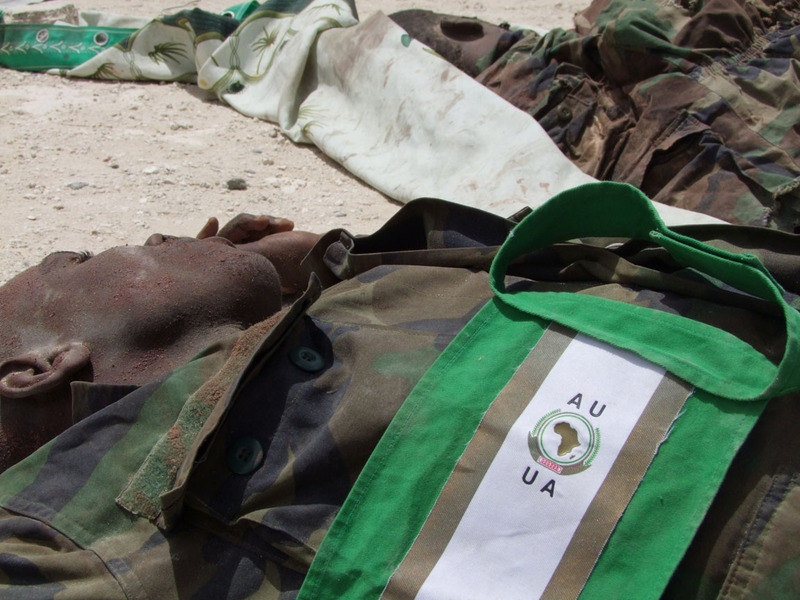 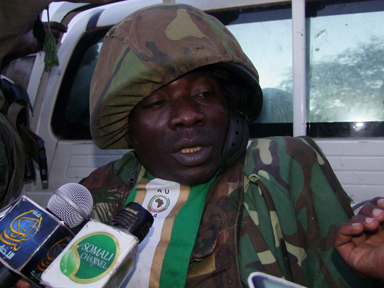 Being the only major road, out of Mogadishu’s four main roads, that is not directly controlled by Al-Shabaab, the African Union soldiers try to guard it very closely – for losing this central artery to Al-Shabaab would have some very unfavourable consequences for the AU soldiers as well as the Somali government. 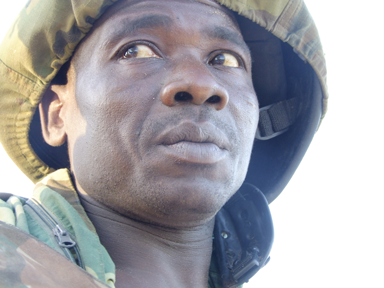 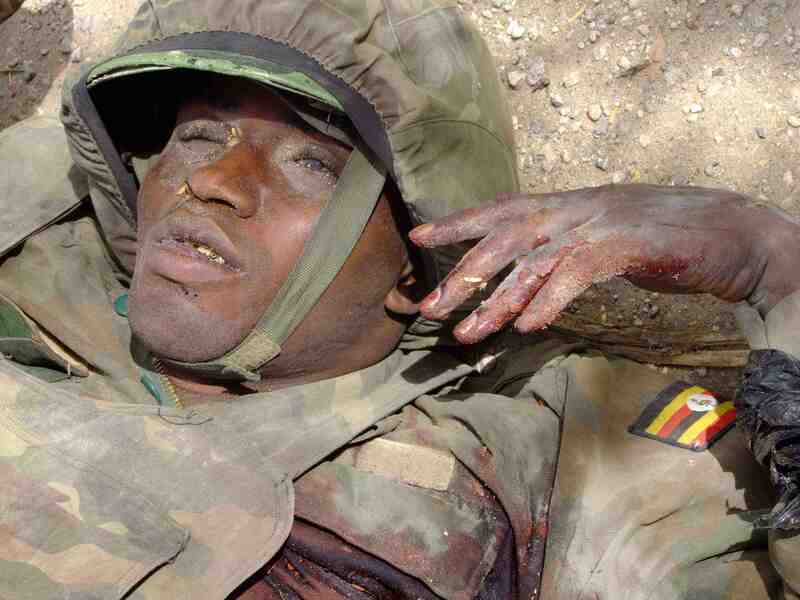 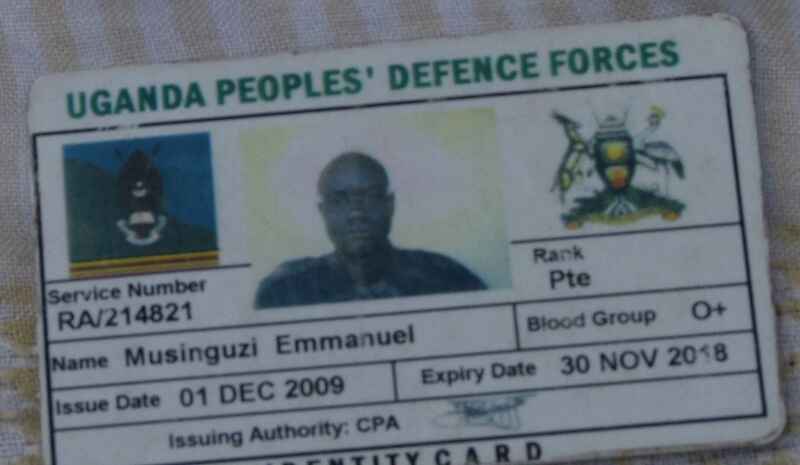 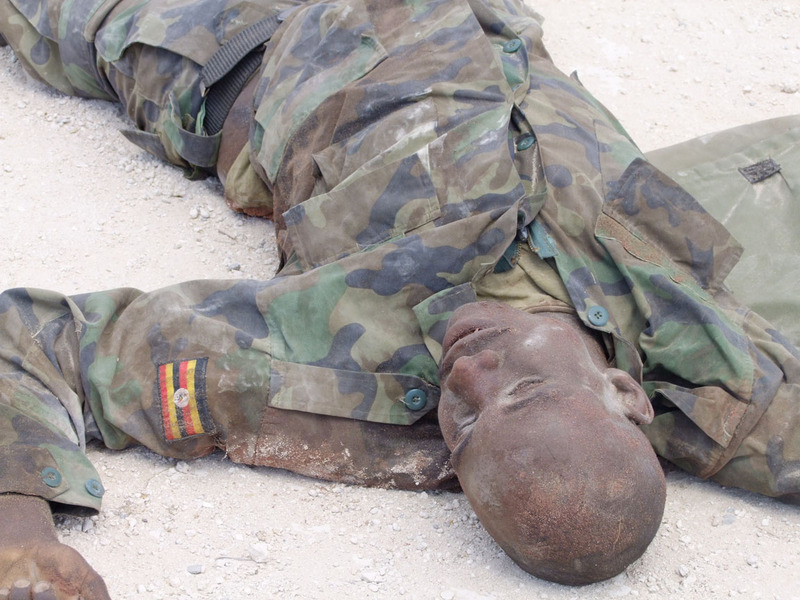 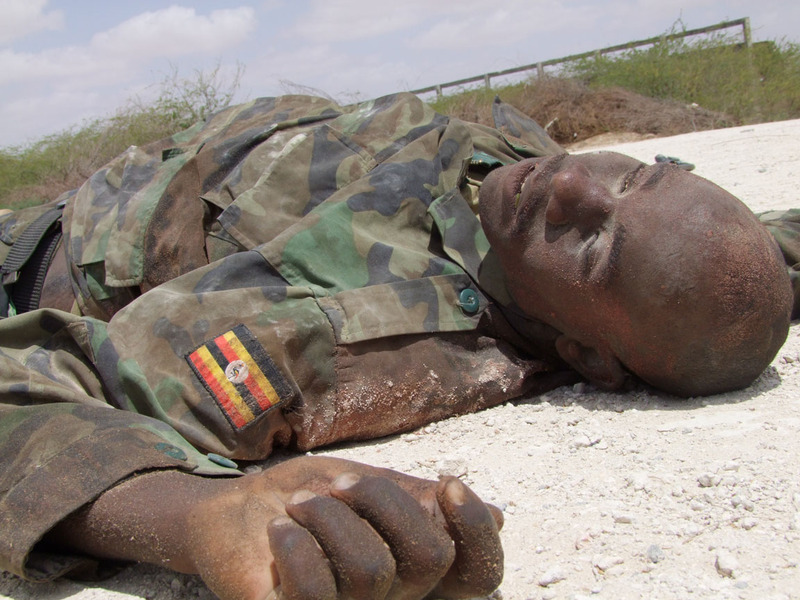 Local radio stations are reporting the deaths of more than 15 Ugandan soldiers and dozens of TFG soldiers, particularly from the regiments that were recently trained in Uganda and who have formed a cosy alliance with the UPDF soldiers in Mogadishu.